The Chief Justice of India, T.S.Thakur, who heads the seven-Judge Constitution bench, today asked Bihar’s counsel, Rakesh Dwivedi whether a right conferred by an ordinance can endure, even after the ordinance lapses, because of the failure of the legislature to approve it within the prescribed period. The seven-judge Constitution bench of the Supreme Court is currently examining four petitions pending since 1994-1995 on the narrow question of whether the benefits conferred by an ordinance can endure even after its expiry. The lead petition is Krishna Kumar Singh vs State of Bihar. The petition was referred to the seven-Judge bench by a five-Judge bench on November 23, 2004. The initial decision of the Supreme Court in the case was by a bench of Justices Sujata V Manohar and D.P.Wadhwa on May 8, 1998. As the bench was split on the issue, it was referred to a three-Judge bench, and then to the five-Judge bench, as it raised a substantial question of law. On March 9, 1994, the Division Bench of the Patna High Court dismissed a group of writ petitions filed by the teaching and non-teaching staff of 429 Sanskrit schools in Bihar. These Sanskrit schools were private schools. They were taken over by the state Government under an Ordinance in 1989. The teachers and staff of these schools claimed that as a result, they had become Government servants. The State Government kept on repromulgating the ordinance, after its expiry till April 30, 1992, after which it lapsed. The petitioners filed before the High Court petitions for payment of salary and other emoluments on the basis that they were Government servants with effect from coming into force of Ordinance 32 of 1989, and they continued to be so thereafter, even after its expiry in 1992. The High Court had held that the petitioners would be entitled to get their salary which they were getting prior to the promulgation of the Ordinance, that is, December 16, 1989. In addition, they would be entitled to get their salaries as Government servants during the period when the ordinance was in force, that is from December 16, 1989 to April 30, 1992. Thus the appeals before the Supreme Court challenged the High Court’s decision which denied these Sanskrit teachers, the status of Government servants after April 30, 1992. The State of Bihar too challenged the High Court’s decision because it had held that the staff of these schools should get salary as Government servants during the period when the Ordinance was in force till it expired on April 30, 1992. As the High Court had also held that the repromulgation of the ordinances by the state Government was illegal, the Bihar Government contested this in its appeal. When the appeals were first heard in 1998 by a two-Judge bench, Justice Sujata Manohar held that all the four Ordinances promulgated by the state Government, one after the other after their expiry, were invalid. “If the entire exercise is a fraud on the power conferred by Article 213, with no intention of placing any Ordinance before the legislature, it is difficult to hold that first Ordinance is valid, even though all others may be invalid”, she had held. Justice Wadhwa, on the other hand, held that the first Ordinance was valid, but the subsequent Ordinances were invalid. The appellants support Justice Wadhwa’s conclusion. Justice Manohar also held that no status can be conferred by a take over which is arbitrary and unconstitutional. Since the take over of Sanskrit schools was not followed by payment of compensation to the erstwhile private schools, it was arbitrary and unconstitutional, she held, and added that the conferment of a status is not per se an irreversible act, and it depends on the kind of status conferred. The status of Government servants, therefore, is not irreversible, she had held. Justice Manohar disagreed with the High Court’s view that the staff were entitled to the salaries of Government servants during the period when the ordinance was in force. Justice Wadhwa, on the contrary, held that if the right created by the Ordinance is of enduring character and is vested in the person, that right cannot be taken away because the statute by which it was created has expired. Even if it ceased to operate, the effect of the Ordinance is irreversible except by express legislation, he had held. 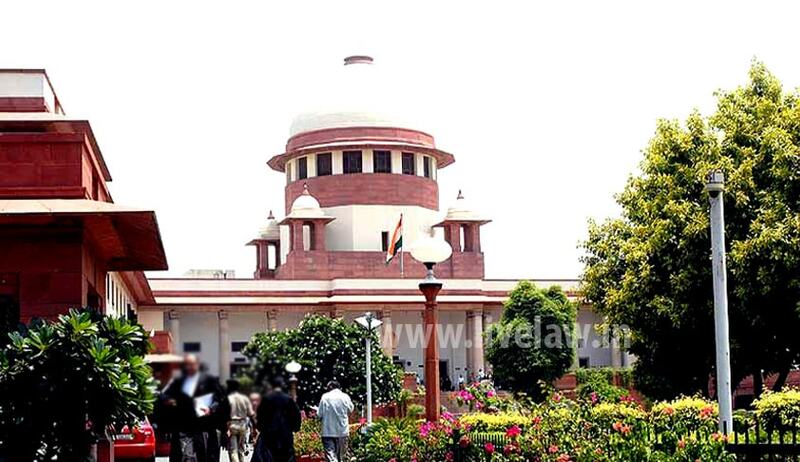 The bench comprises the Chief Justice T.S.Thakur, and justices Madan B.Lokur, S.A.Bobde, Adarsh Kumar Goel, Uday Umesh Lalit, D.Y.Chandrachud, and L.Nageswara Rao. The bench, which began hearing the petitions since November 8, has so far heard senior advocates Salman Khurshid, Amarendra Sharan, and V.Giri on behalf of the appellant-petitioners, and Rakesh Dwivedi, who represents the State of Bihar. On November 10, Dwivedi was categorical that one can’t segregate the first ordinance from the others, and hold the first one valid, and the remaining invalid, as Justice Wadhwa had held. Dwivedi was of the view that there are no enduring rights once the ordinance lapses.